Our experienced Osteopaths provide treatments in our award winning London clinics, in Canada Water, Wapping & Stratford. Looking for Osteopathy near me in London? 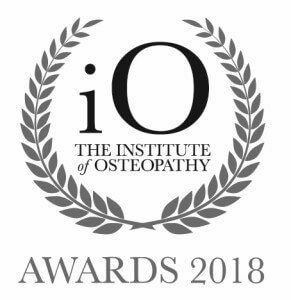 Our Award winning clinics provide Osteopathy treatments which work with the musculoskeletal system of the body. Osteopathic treatment is based on the principle that no part of the body exists in isolation, and that the musculoskeletal system is a key component of overall physical well-being; for example the respiratory and digestive systems. Osteopathy uses a wide range of non-invasive manual techniques, including physical manipulation, soft-deep tissue massage, stretching, medical acupuncture, exercise rehabilitation and pilates. Through these techniques, osteopathy aims to increase the mobility of joints, relieve muscle tension and help the body to heal. Our Massage clinics are all located in Zone 1 & 2 in London; Canada Water SE16, near Deptford SE8, New Cross SE14 and Canary Wharf E14, Wapping E1W & Stratford E15, Near Olympic Village E20. Lower back refers to the area between your upper buttocks and below the ribs. Problems in this area directly affect the spinal bone, affecting its stability, flexibility, and strength. The pain can be a mild ache or a sharp, shooting pain that obviously causes discomfort, and may also cause stiffness. Lower back pain can be a symptom of a number of things. Modern lifestyle requires most of us to sit on desks for long hours. Sitting with a wrong posture, or even lifting heavy items in an incorrect manner can put strain on our muscles, ligaments, joints & nerves, which may cause stress and pain in the lower back. A professional assessment of the same can help narrow down the cause and lead you to the ideal treatment for back pain. bodytonic clinic offers a FREE 15 minute assessment for the same. All you need to do is ask for the FREE assessment when you book an appointment with us online. Lower back pain itself is a symptom of other problems mentioned previously. However, apart from pain, other symptoms include stiffness in surrounding muscles and a restriction in movement. Pain may also be experienced in the buttocks or down in the leg. Since the causes of lower back pain can be several, the best course of treatment depends on the condition of the patient. This can be determined only after a spinal assessment by an Osteopath. A treatment can be started right after the assessment, if the patient is comfortable in doing so. If you have been experiencing any of the symptoms mentioned earlier, it is advisable to get an assessment done by a certified Osteopath. Click on the link below to book your appointment, or get in touch with out team. During a FREE discovery session, as the name suggests, an osteopath assess the patient and diagnoses the issue. The objective of the 15 minute session is to understand the root cause of pain in any area of the body, and determine the right procedures to treat it. At the end of the discovery session, the patient is informed about their condition and it is then their choice if they would like to go forward with the procedure. In the case the patient want to immediately start the treatment, the same can be done right away as when the appointment is booked, the osteopath is reserved for 45 minutes instead of 15. On the other hand, if the patient does not want to go forward with the treatment, they will not be charged anything. Poor posture and frozen shoulder – As the name suggests, a frozen shoulder often restricts movement in the shoulder joint. In extreme cases, complete inhibition of movement may be experienced. Shoulder instability – Due to instability in the shoulder joint, patients may experience an unusually large range of movement. This ailment is also known as hypermobility. Rotator cuff disorders –The term rotator cuff is self-explanatory. It is a group of muscles and tendons that surround the shoulder, keep it stable, and enable rotating movement in the shoulder. Acromioclavicular joint disorders – The acromioclavicular joint is located at the top of the shoulder. Disorders related this joint are known as Osteoarthritis. The causes of disorders to this area may range from a fractured humerus (upper arm bone) to a broken collar bone. The FREE discovery consultation sessions are meant to understand the condition of the patient, and to discuss the same with the patient. Our certified professional osteopaths will also discuss the recommended treatment with the patient. Once the 15 minute FREE discovery consultation is over, the patient has two options- either they can go forward with the treatment immediately as the calendars are booked for 45 minutes instead of 15, or if they choose not to go forward with the treatment, the discovery session remains FREE of cost. The Sciatic group of nerves are responsible for controlling the back of the knee and the lower leg. It is the longest nerve within the human body and is responsible for providing sensation in part of the lower leg, back of the thigh, and base of the foot. The condition which leads to Irritation or compression of these nerves is known a Sciatica. A compressed sciatic nerve can cause pain in the lower back and the calf. The pain is often noted to affect only one side of the body, while the other remains number. Patients can feel numbness in the back of the calf or the sole of the foot. Affected limbs often feel weak. Bodytonic Clinic has a team of certified and registered osteopaths that will undertake the discovery consultation to understand the patient’s condition and discuss the best course of action with them. IF the patient wants to go forward with the treatment at the end of the 15 minute FREE discovery session, it is possible as the calendar is booked for a full 45 minutes. On the other hand, if the patient decides not to go forward with the treatment, the discover consultation is still FREE. Regular sports massage therapy has been associated with several health and sports performance benefits. The technique usually employs a rather vigorous form of massage to promote muscle healing and relaxation. This, in turn, enables athletes to avoid of recover from injuries. It is recommended perform such massages before and after a sporting event or competition to prevent injuries and enable mobility. Apart from keeping an athlete healthy and at peak performance, physiological benefits of sports massage therapy include muscle relaxation and alleviation of muscle pain. 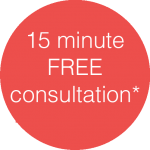 Our qualified and professional osteopaths will assess your condition during a 15 minute FREE discover consultation and discuss the same at the end. Then, you (or the patient) can choose to start the treatment immediately as the osteopath’s calendar is booked for 45 minutes and not just 15 minutes. However, if you choose not to go forward with the treatment, that also isn’t a problem and the discovery consultation will still be FREE of charge. To become an Osteopath, one has to train in a specialist college for a duration of 4-5 years. Post this, when an individual has developed the required understanding and skills, they need to get registered with General Osteopath Council (GOsC) and British Osteopathic Association (BOA) before they can begin their practice. The treatment focuses on total body health by using drug-free, non-invasive manual methods that heal the strengthen the musculoskeletal framework of the body. It is possible to treat several health ailments with osteopathy, some of these are; lower back pain, back ache, neck & shoulder pain, neck ache, upper back pain, sports injuries (e.g. tennis elbow), nerve compressions such as sciatica, muscular aches or pains, muscle and ligament strains, headaches, migraines, circulatory problems, occupational injuries (e.g. postural), digestive problems, joint pains or stiffness – e.g. arthritis in hands, hips, knees etc. neck and shoulder injuries – including frozen shoulder. Since osteopathy does not use any drugs or invasive treatment, it is not necessary to consult a GP beforehand. However, if you have a complex medical history, a GP consultation is recommended. If you have more questions related to osteopathy, you can get in touch with our team on the number mentioned below. A pregnancy is extremely demanding on a woman’s body and may lead to problems like lower and mid back pain, pain in the neck, shoulders, hips or the pelvic, symphysis pubis dysfunction and post-natal coccyx pain. Osteopathic treatments can relieve these problems while helping the body adapt to the many changes that occur during a pregnancy. The FREE discovery sessions are aimed at discovering the root of pain that a patient is experiencing. At the end of the 15 minute session, the osteopath informs the patient about the condition, and suggests a suitable treatment. If however, the patient chooses not to go forward with the treatment post the 15 minute FREE discover session, they are not charged a single penny.